There’s nothing quite like the birth of a child to bring a little happiness in the face of abject misery and inspire one to make the world a better place, even if that child’s last name is Kardashian. E! reports Thursday afternoon that Angela “Blac Chyna” Kardashian has given birth to a baby girl—thereby creating the first of a new generation to take the famous surname. In a press release, E! notes that a “Rob & Chyna Baby Special” on the birth of this child will premiere on December 18 at 8 pm. During the special, we see that family and friends are never far away, coming together to support Rob and Chyna as they prepare for the birth of their daughter. Scott Disick as well as three of Chyna’s sisters, her dear friend Treasure, and mom Tokyo Toni who fly out from the east coast, celebrate the couple at their chic coed baby shower. And later, loving and protective mothers Kris and Tokyo Toni reconnect with each other for the first time in five years at King Cairo’s lavish 4th birthday celebration. 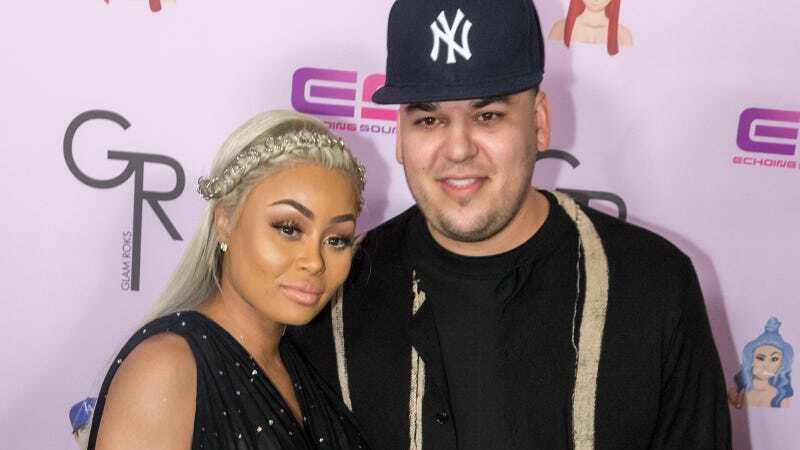 Although Rob and Chyna have had turbulent times in their relationship, they face many important decisions head-on as the couple prepares for the birth of their baby. Together, they decide whether or not it’s best for Chyna to have another c-section, and where the new family should live after the baby is born. In addition, the couple will share the tender moments and final prep the day before the baby arrives and reveal their daughter’s name. Angela and her fiancé Rob have given the “stunning” little girl a name so perfect, given the state of our nation, that I could vomit: Dream Renee Kardashian. With any luck, she’ll grow up with no memory of a Donald Trump presidency.